It all starts with The Hunt. Mall-walking, clothes-shopping, you’re searching for cute tops and a new pair of jeans. You pop into stores, you do the Figure-8 Walk Around, you pop right out. You pinch fabrics, peek at wash instructions, and hold pants in front of mirrors, bending knees, biting lips, and flipping over price tags. Sure, everything’s fine and everything’s dandy until later in the afternoon, when you’re still empty-handed and your legs start burning, your boyfriend starts whining, and you get really, really, really, really, really, really thirsty. But you don’t stop, won’t stop, can’t stop the walking, just can’t stop the shopping. So you keep going, keep plugging, keep trudging along. You keep moving, keep motoring, keep soldiering strong. No, you won’t quit, won’t split, won’t call it a day. You won’t run, won’t ditch, till you find a shirt and pay. Do they have it in your size? Panic sets in as you begin frantically flipping through the hangers. Shoot, XXL, XXL, XXL, XL. As you flip you suddenly start worrying that you wasted the day. 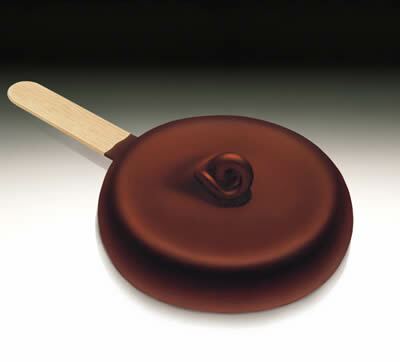 Your calves ache and your stomach rumbles and you ask yourself: Did I survive six hours on a Dilly Bar for nothing? Version 1: Back o’ the rack. Just as you’re getting bummed out by all the oddball sizes, you eventually find your perfect shape chilling out in the shadows at the back. Good find! Version 2: Lost in Thread Paradise. Hey, employees struggle to keep restocking customer throwaways so sometimes that perfect shirt gets lost in thread paradise. You discover it hanging with the wrong clothes, crunched in a ball in the change room, or laying on the counter behind the cashier. Good find! Version 3: Same solar system, different planet. Now, this isn’t technically the last of your size in the store, but it’s still a classic. Here’s where you start crying on the floor and pounding your fist into the ground until a friendly cashier calls a nearby store and has them hold one for you. Good find! You grab your bag, stretch your back, and walk the long walk back to the car. Sun setting over the parking lot, you feel a mixed bag of energy, excitement, and accomplishment. Now the day feels productive and well-spent. You got exercise, your boyfriend survived, and you came, you saw, and you conquered. Mmmm Dilly Bar. I tend to give up after the Dilly Bar with chocolate stains on my shirt. That said, I have been so elated to be in this position that I have made it all the way to a week later and a couple of washes and wears before realizing in actuality it doesn’t really fit anyway. For that very moment though, it truly is awesome! Well put. I love it when, just as you’re about to give up, you find clothes on the wrongly labeled hanger as well, in your perfect size :) AWESOME. yeah, I’m not revealing my pant size here. I just wanted to share that I’m pretty sure that guy has the same backpack as me. That is awesome! Cheryl told me the other day that she had suggested this to you. I heard you on CHUM FM the other day too. Congrats! Me too. I was in target on March 28th, this happened to me and I emailed the suggestion as I walked up to the cash. Truly awesome. I can’t tell you the number of times the above situation has happened to me, only without the awesome and happy resolution. I guess that makes it all that much sweeter when it really works out. hey my teacher is friends with you :P:P:P:P stephanie cross lol :P we are doing a project based on your blog hopefully you can use some of our awesomethings cause i have a really good one ( im one of her students in her class). she speaks about you alot ( she speaks about alot of her friends but you specifically). well i hope you read this and umm tell her i give permission for you to use my awesomethings. :D well yeah so read this then e-mail her. Why do they always have so many xxl, xxxl sizes when nobody wears those? I need small! I knew you would make my Buffalo “awesome thing” sing. Well done, Neil. I see I’m not the only one who has experienced the headyness of “the find”. I was extra chuffed when I saw my ex-colleague Trudi’s comment. I will make sure my little boy in Vancouver gets to know about this. Thanks Neil. I was dreading finding a dress to wear to a friend’s wedding, and honestly, the first thing I saw upon walking into the store was the most awesome dress I’d ever seen, in my size, draped on its lonesome over a rack of boring shirts. I think it had been put there just for me. This is the eternal hope/curse of women who wear a size 7 or 8 shoe, which never survive the first stampede. You forgot Version 4: The last one in your size is on the mannequin, on display. Anom, too right. I was in SUPRE a couple years ago and saw this black flapper dress, perfect size, on the mannequin. that $40 made me very happy. Also another awesome thing: Coming out of the change rooms after trying lots of things to no avail, then spotting THE perfect top on the rejects rack, and in your size too! This happened to me in Valley Girl. it was suweeeet. Also no 3 happened to me a few weeks ago while buying boots (which id been searching ALL. OVER. for- even out of town) from Betts, but they didnt have any in black and my size. So they called the other store across town, and we went to pick them up 5 min b4 closing time. display case so they were easy to find. Here is such a website. What if there were memorabilia showcases with all the clothing products we were interested in. I always like to get the last item out of the showcase or the Clearance Rack. Otherwise how do you know what you are getting? Who does not want to be the first person to find that odd little item for the best price. Wow a lot of this stuff is from a long time ago. Time to search out new great buys! Very interesting place to find new Trophy Cases with a lot of Clearance items! Well that person should be thankful for finding that item. That is really Awesome. It feels great to shop wisely. However whats even more Awesome is looking for a decent outfit. This is interesting especially when you a shopping for the holidays because you only get to do that so often. The only problem is that, somehow you had to dig deep even though the price might sound just right.